Douro River cruises are from Porto, Portugal to Vega de Terron, Spain. Most trips are roundtrip from Porto, which is a coastal city in western Portugal located near the Atlantic Ocean. Vega de Terron is located about 125 miles east of Porto and is the most eastern cruise port on the Douro. Although rapidly growing in popularity, Douro river cruises still remain relatively unknown to many travelers. Some river cruise companies, in fact, still do not offer itineraries on the Douro. 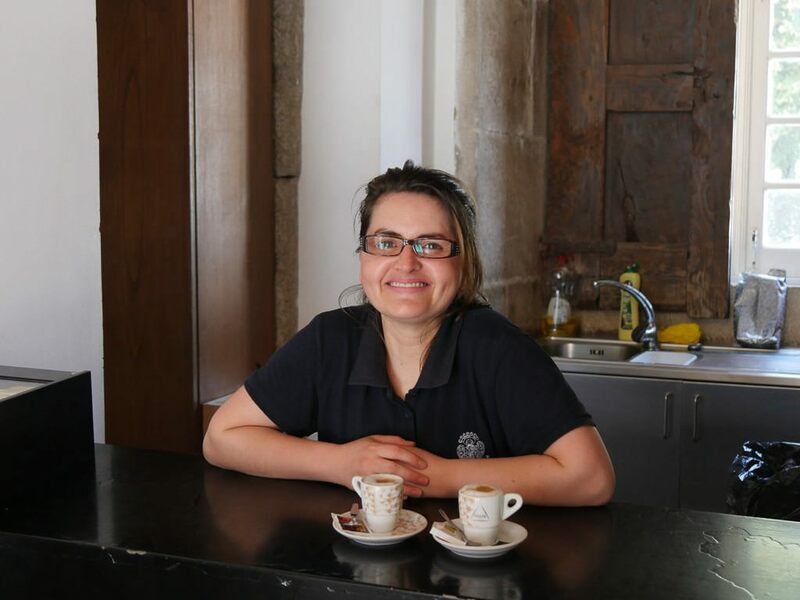 That is changing with each passing season, however, and the last few years have seen a plethora of brand-new vessels enter service along the Douro. Updated for 2018. Beauty meets brains. The Douro River Valley has been a UNESCO World Heritage Sites in 2001. It’s not only gorgeous but also culturally significant. The Douro River is located in the Iberian Peninsula. It flows for about 550 miles from northern Spain through Portugal. Much of the river in Spain is not considered navigable. Therefore, river cruises take place mainly in Portugal and on the far western portion of the river in Spain. Between Portugal and Spain, the Douro forms a natural border for about 70 miles. A few protected areas along this part of the river, include the International Douro National Park in Portugal and the Arribes del Duero National Park in Spain. After joining the Agueda River near Barca de Alva, Portugal, the Douro River begins to flow into Portugal and away from Spain. Douro River cruises usually begin and end in Porto, Portugal. However, there are two companies that offer a cruise that begins in Vega de Terron, Spain and travels one way to Porto. Douro River cruise packages range in length from 6 to 15 days. The longer itineraries include land travel along with a cruise and may include cities, such as Lisbon or Madrid. The cruise itself generally lasts for an average of 8 days. One of the highlights of Douro River cruises is the Douro River Valley. This region was designated as a UNESCO World Heritage Sites in 2001. It’s located between the cities of Barqueiros and Mazouco in northeast Portugal near the border of Spain. Most of the river cruise is spent in Portugal. Ships only travel as far east as Vega de Terron, Spain. While docked in this city, most itineraries include a trip to Salamanca. It’s located about 165 miles southeast of Vega de Terron. Transportation to Salamanca is by motor coach. This information is intended to give you an overview and a general idea of what different river cruise companies offer. With regard to itineraries – they change from year to year and sometimes within a year. For instance, it’s likely that more companies will add Douro River cruises to their portfolios. AmaWaterways offers two options for all cruise packages – land and cruise or cruise only. This makes a significant difference in the length of the trip. The cruise only lasts for 8 days, and the cruise and land packages last 11 to 14 days. AmaVida entered service along the Douro in 2013. She is shown here in Porto, Portugal. 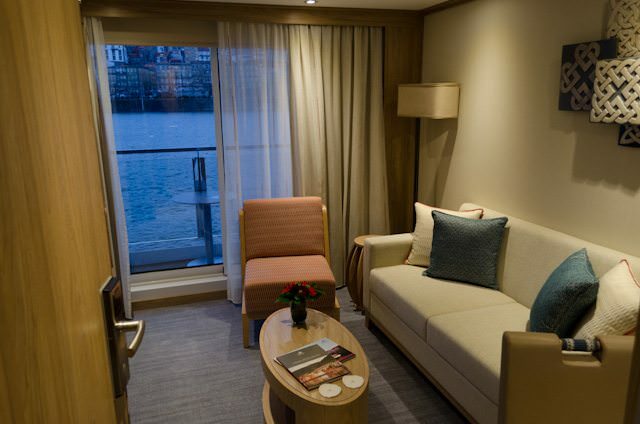 Photo courtesy of AmaWaterways. Travel begins in either Lisbon, Portugal or Madrid, Spain. 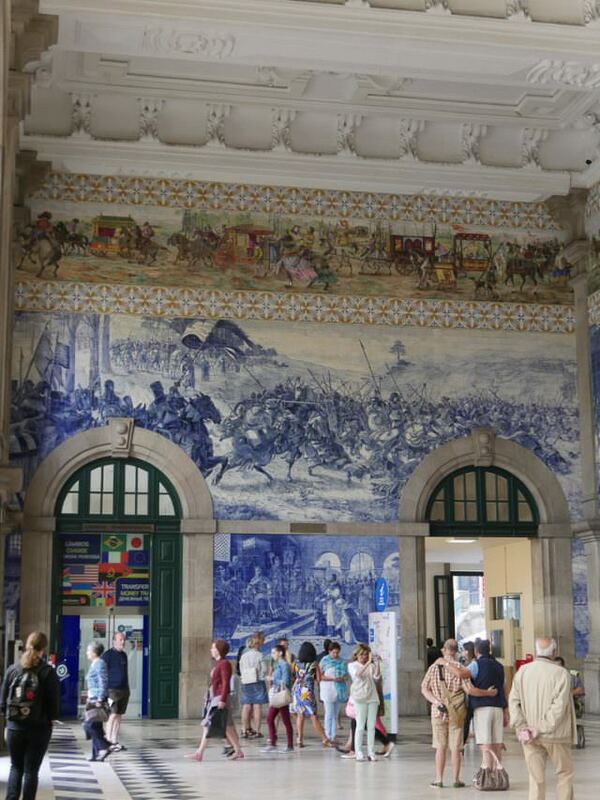 And the cruise begins in either Porto or Vega de Terron, depending where the itinerary begins. 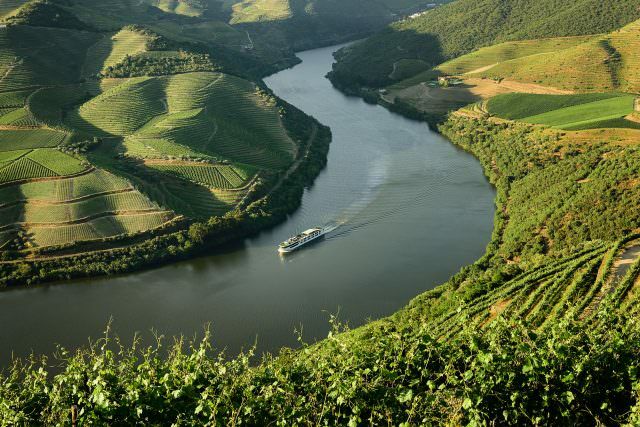 Interesting to Note: AmaWaterways is one of the only companies that offers a one-way Douro River cruise and that has a departure from Vega de Terron, Spain. It is the only company that visits Fátima on the way to or from Lisbon. Check out my videos in the player below for a day-by-day replay of my cruise along the Douro with AmaWaterways. CroisiEurope is one of the only companies that offers six-day cruises on the Douro River. There are quite a few cities visited that are not listed in itineraries for other river cruise companies included in the Strasbourg, France-based company’s voyages, all of which span between six and eight days in length. Some of the additional cities frequented by CroisiEurope include Ferradosa, Folgosa and Leverinho in Portugal. Interesting to Note: CroisiEurope currently operates the largest fleet on the Douro. Emerald Waterways launched river cruises on the Douro River in 2017, aboard the purpose-built Emerald Radiance. 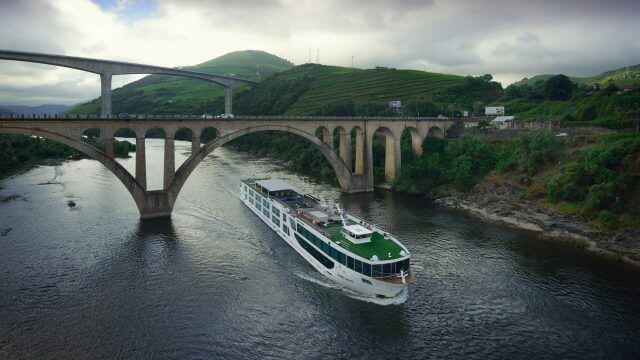 The popular mid-level offshoot of luxury tour operator Scenic, Emerald Waterways now offers six different river cruise packages on Portugal’s Douro River, with variations in the length of overland journeys wrapped around a week aboard the Emerald Radiance. Interesting to Note: Emerald Waterways has added onboard canoe outings and yoga lessons to Emerald Radiance for the 2018 river cruise season. Riviera River Cruises offers river cruises and cruisetours on the Douro ranging from 8-day journeys from Porto to an 11-day experience that includes an extended stay in Lisbon. Carrying 126 guests each, the MS Douro Elegance and the MS Douro Splendour were launched in 2017 and 2018, respectively. Riviera offers a price-point that is substantially lower than most of its competitors. In part, Riviera achieves its low price point by “unbundling” some features, such as inclusive beer and wine during lunch and dinner. On the other hand, Riviera includes costs that may be hidden, or in the fine print, on competitors, such as port charges. Scenic offers river cruises and cruisetours on the Douro ranging from 10-day journeys from Porto to a massive 31-day experience that whisks guests from France to Portugal. 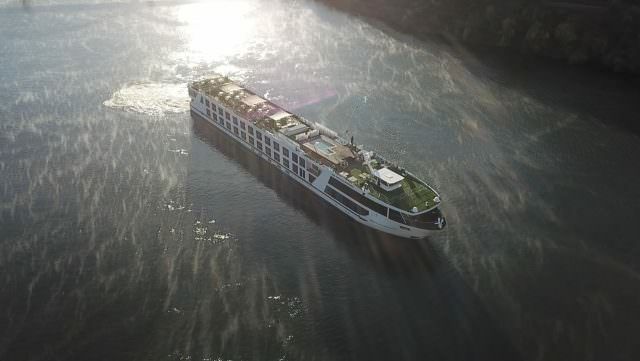 Carrying only 96 guests, the five-star Scenic Azure was launched in 2016 and features the same all-inclusive luxury experience that has become with Scenic’s European river cruises. Scenic even built its own dock – for the exclusive use of passengers sailing aboard it and sister-company Emerald Waterways – right in the heart of Porto. Interesting to Note: Scenic’s Douro itineraries can include Bordeaux, Madrid, Paris, Lisbon and more. Scenic Azure on the Douro. Photo courtesy of Scenic. Uniworld offers two different river cruise packages on the Douro, both of which include travel to or from Lisbon. One of its itineraries, the 13-day Jewels of Spain and Portugal begins travels between Lisbon and Madrid. 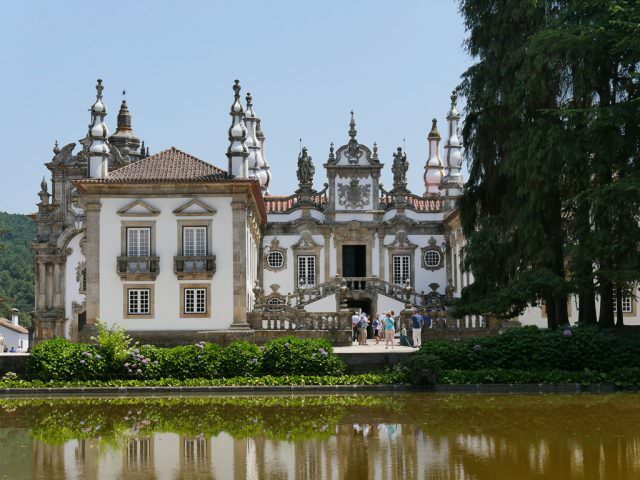 The other, Portugal, Spain and the Douro River Valley, is available as an 11-day journey from Lisbon to Porto, or as an eight-day cruise-only option departing roundtrip Porto. 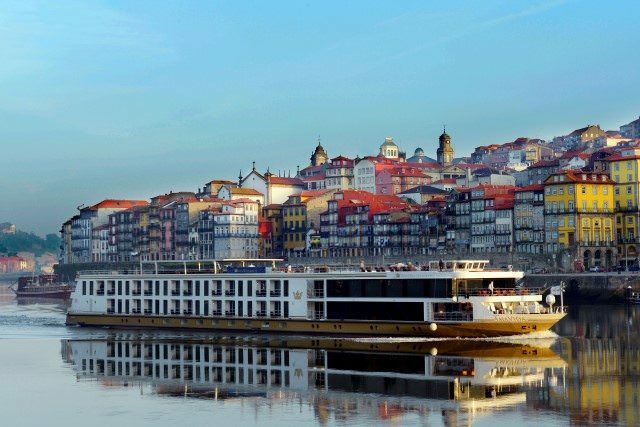 Interesting to Note: Uniworld is one of the only companies that offers a one-way Douro River cruise, including departures from Vega de Terron, Spain. Viking River Cruises only offers one itinerary on the Douro, the 10-night Portugal’s Rivers of Gold. The itinerary has proven to be so popular, however, that the line has three ships plying Portugal’s most famous waterway: Viking Hemming, Viking Torgil, and Viking Osfrid. A fourth ship, Viking Helgrim, sets sail in 2019. Ships on the Douro: Viking Hemming, Viking Torgil and Viking Osfrid. Viking Helgrim joins in 2019. Interesting to Note: Viking River Cruises has one of the fastest-growing fleets on the Douro. What’s the Best Choice for a Douro River Cruise? If you’re just looking for a river cruise, Viking River Cruises’ 10-day Portugal’s River of Gold package spends the most time on the Douro River. On the other hand, if you’re looking for a shorter trip, CroisiEurope has two 6-day packages. If you would like to spend some additional time in Portugal or Spain, both Uniworld and AmaWaterways offer land travel in addition to an 8-day Douro River Cruise. Their packages are comparable in terms of where the trip begins and ends. Both companies have two packages that begin or end in Lisbon and one that begins or ends in Madrid. Depending on how much time you have to travel, Scenic has the longest itinerary. Its ‘France & Douro Masterpiece’ spans 31 days and offers a nice combination of both land and cruise travel.